Singer Miley Cyrus looks gorgeous wearing a black dress on her Instagram. 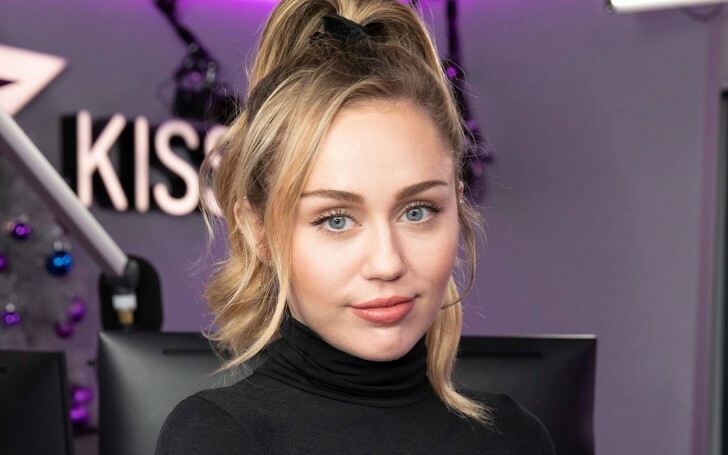 The newlywed American singer and actress Miley Cyrus doesn't want everyone to forget the beauty Queen she is. Safe to say Cyrus just saved our 2019 by sharing gorgeous golden pictures that showcase her cleavage and tattoos. The brunette singer who currently chooses to go with blonde hair rocked a black v neck dress and confidently posed for Instagram pictures to her 81 million followers. Honestly, we can't take our eyes off them. As a matter of fact, one of the first gorgeous pictures in golden light shared by Miley earned 1.5 million likes in just less than four hours followed by thousands of comments writing how beautiful she looked. "Just got straight 😍 damn girl"
Whilst one of the other fans simply wrote 'Queen'. Miley who recently celebrated her husband birthday on 13th January by sharing a cute love letter stood with her arms open to cleverly show off most of her tattoos by posing in front of a city view using it as the photo background. The 26 years old star accessorized her attire with golden chains and necklaces, one clearly being visible as a Chanel locket. She further wore a hoop designed earrings to add more elegance to her look. Not forgetting her signature styles, the ex-Disney alum wore some golden bangles on her wrist too. Giving a serious look on her face, the Grammy-nominated singer opted to freely leave her hair open in loose wavy curls. And in another striking picture wearing the same outfits, the singer gave a pose leaning on an all-white painted wall as she stood nearby by the door. By looking at such glamorous pictures of Miley Cyrus, it's now more evidential to say God is a Woman perhaps. The singer previously announced she will be performing at the 2019 Grammy Awards which will be held next month.